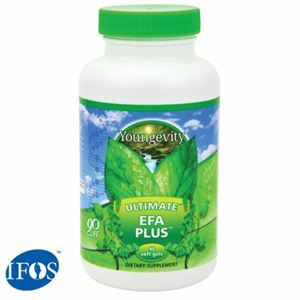 Ultimate EFA Plus™ is a proprietary blend of essential fatty acids from Borage, Flax and Fish Oils. Used as part of a healthy diet, essential fatty acids may support the body in many ways, especially cardiovascular health. The International Fish Oil Standards™ (IFOS™) Program is the only third party testing and certification program for fish oils. IFOS sets the world's highest standards for purity, potency and freshness. The purpose of IFOS is to allow companies to showcase their high quality, premium products, and to provide consumers with an easy, transparent way to compare fish oil products before they buy.